Lauryn Williams announced her retirement from bobsled Thursday, ending one of the most unique and accomplished U.S. Olympic careers. “As an athlete I am exhausted having done sports since age 9 and competing professionally for the last 10 years,” Williams said, according to U.S. Bobsled. Williams, 31, is one of five athletes to win Summer and Winter Olympic medals. She competed in three Olympics in track — 2004, 2008 and 2012 — taking silver in the 2004 Olympic 100m and gold in the 2012 Olympic 4x100m relay. Then she retired from sprinting, picked up bobsled, made the 2014 U.S. Olympic team in her first season in the sport and won a silver medal pushing for Elana Meyers Taylor in Sochi. Williams all but retired after Sochi but came back for four World Cup races this winter before ending her career. Lauryn Williams, who in Sochi became the fifth athlete to win Summer and Winter Olympic medals, will compete in an international bobsled race for the first time since the Olympics in Konigssee, Germany, on Friday. Williams, 31 and a three-time track and field Olympian, said she was all but retired in April but decided to come back at the U.S. push championships in October. She didn’t compete in the first three World Cup stops in Calgary, Lake Placid, N.Y., and Altenberg, Germany. Williams is the only push athlete from the Sochi Olympics still bobsledding. Both Aja Evans and Lolo Jones are pursuing track and field, a sport Williams said she is definitely finished with. Williams won silver in Sochi with driver Elana Meyers Taylor, who won all three races so far this season and leads the World Cup standings over Olympic champion Kaillie Humphries. It hasn’t been reported if Williams will return with Meyers Taylor or another driver in Konigssee. LAKE PLACID, N.Y. -- This time last year, Lauryn Williams was getting into a bobsled for the first time. Now she's not only an Olympic silver medalist, but a national champion as well. Williams -- one of five people to medal in different sports at the Summer and Winter Olympics -- won the U.S. national bobsled push championship in the women's brakeman division Thursday, finishing her two starts on the wheeled track at Lake Placid in 9.56 seconds. Katie Eberling, who's transitioning from push athlete to driver, won the women's pilot competition and Olympic veteran Nick Cunningham won the men's pilot title. "It was really inspiring to get back out there and be on the track and to win my first push championships," said Williams, who became a two-time Olympic track and field medalist before turning to bobsledding. "I think it's really awesome to see all of the new girls so bubbly and excited about bobsled, and I really relate to that feeling since that was me not even a year ago." Williams considered retirement after she and Elana Meyers Taylor won silver at the Sochi Games, doing so just six months after getting in a sled for the first time. But she kept her options open, never making her plans to step away official, and now she's expected to lead the push athletes on the women's World Cup team this winter. "I'm really looking forward to the season," Williams said. Eberling finished her two pushes in 8.41 seconds, edging Olympic bronze medalist Jamie Greubel Poser (8.47) for the women's pilot title. Maureen Ajoku was third in 8.72. Meyers Taylor did not compete because of injury. She had won six straight national push titles. "I think anytime Elana isn't entered into the competition there's an asterisk next to the win," Eberling said. "But it feels good to start the season with a win and to get back into competition mode after a long offseason." Cunningham won his third straight men's pilot title, his time of 7.93 topping Codie Bascue (8.00) and rookie Andrew Blaser (8.05). Steven Holcomb, the 2010 Olympic champion, was fourth and Olympic veteran John Napier -- who is contemplating a return from retirement -- was fifth. "As a competitor, I always want to win," Cunningham said. "We are going through a rebuilding phase with our program, so to come out here and start the season out like this and to see the depth of pilots is a great thing to see." Napier isn't sure what his future holds yet. "I am back to enjoy myself and to spend time with the team," said Napier, who was in college at Lakeland, Florida last year. "I missed being around the team and the guys. This culture is a part of my life and it seems no matter how far I run away, it will always be near to my heart." The men's brakeman push championships are scheduled for Friday. On-ice training in Lake Placid is expected to start next week, weather permitting. National team selection races also start later this month. LAKE PLACID, N.Y. -- Lauryn Williams isn't done with bobsledding after all. Williams, one of five people to medal in different sports at the Summer and Winter Olympics, was announced Monday as a returning push athlete by the U.S. Bobsled and Skeleton Federation. Williams considered retirement after the Sochi Olympics, which capped her first bobsled season. The USBSF is holding its push championships Thursday and Friday and Williams is expected to compete. Push championships are the official opening to the annual selection process for the national team. Williams, a former University of Miami track star, teamed with Elana Meyers Taylor to win bobsled silver at the Sochi Games. She's also won gold and silver medals as a sprinter at the Summer Olympics. On-ice training in Lake Placid is expected to begin next week. 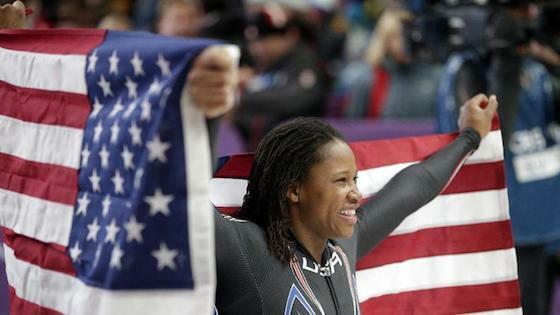 NEW YORK — Sochi silver medalist Lauryn Williams might not be done competing after all. Williams, a three-time Olympic medalist over track and field and bobsled, said she’s at a “pivotal point” on Monday night in deciding if she wants to return to bobsledding this season. Williams, 31, became the fifth person to win Winter and Summer Olympic medals in different disciplines with her bobsled silver medal in Sochi, pushing for Elana Meyers Taylor. She said in April, “I think I’m done with sports as an active competitor,” but did not fully commit to retiring. She did not take her name out of the U.S. Anti-Doping Agency drug-testing pool. “It has got a little twinge of, is this really the right thing [retiring], and how do you really know when you’re done, especially when you have such an awesome experience in such a short period of time [in Sochi],” said Williams, who is doing the same kind of training as she did as a sprinter and bobsledder now to stay in shape. Williams said she is definitely done with track and field, though. “Track is so 20 pounds ago,” she joked. Williams said Meyers Taylor urged her to come back for a second season with U.S. Bobsled. It appears she would be the most experienced returning push athlete, with Olympians Lolo Jones and Emily Azevedo taking a break, Aja Evans moving to track and field and Katie Eberling now driving. Williams also took up recreational rugby since coming back from Sochi. Rugby sevens makes its Olympic debut in Rio 2016, and Meyers Taylor has played for Team USA this year. “Tackling, I can’t quite get my mind around the idea of someone jumping on me or me jumping on someone,” the 5-foot-3 Williams said. “Elana peer pressures me into everything. Lauryn Williams, an American track and field and bobsled athlete, has been named the United States Sports Academy’s 2014 Jim Thorpe All-Around Award for her outstanding accomplishment of becoming the first American female to medal in both the Winter and Summer Olympic Games. The Jim Thorpe All-Around Award is presented annually to an individual who has demonstrated outstanding achievement in multiple sport and/or multiple events of the same sport. This individual should exhibit the qualities of versatility, strength, speed, flexibility, conditioning and training that exemplify superior athletic prowess. Williams won a gold medal as a member of the United States’ 4×100 meter relay team during the 2012 London Summer Games and also earned a silver medal in the 100-meter dash during the 2004 Athens Summer Games. Alongside Elana Meyers in the two-woman bobsleigh, Williams won a silver medal during the 2014 Sochi Winter Games. She is one of only five athletes in the world to earn medals in both the Summer and Winter Olympic Games and the first American woman to achieve the accomplishment. In 2013, the Jim Thorpe All-Around Award was presented to the British track and field star Jessica Ennis for her performance at the 2012 London Olympic Games where she became a heptathlon gold medalist. The United States Sports Academy’s Award of Sport program is a long-standing awards program within the Academy, dating back to 1985. The recipients of the awards will be recognized in an awards ceremony in November. Olympic champion Lauryn Williams is in an elite world-class of athletes, but that hasn’t stopped her from returning home to help with Detroit’s revitalization. Williams is the first woman and one of only five Olympians to ever win a medal at both the Summer and Winter Games. But, she said Wednesday, it was her time in Detroit that led her to become an Olympic gold medalist and she wants to “pay it forward” to the next leaders of the city. Williams, 30, doesn’t have a specific outline yet of how she’ll participate in the city’s revival, but she’s been meeting with community activists and leaders to see what she can do. She said she also plans to tackle childhood obesity in Detroit. 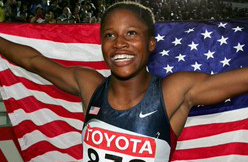 At the 2004 Summer Olympics, Williams ran the anchor leg for the women’s 4x100 relay team in the final. Marion Jones and Williams didn’t complete the baton exchange and the U.S. team was disqualified. Williams was a member of the women’s 4x100 meter relay team that won gold in the 2012 London Olympics. She also won a silver medal in the 100 meter race at the 2004 Athen’s Olympics and recently won a silver medal for the United States in the two-women bobsled event at the 2014 Winter Olympics in Sochi, Russia. She and Elana Meyers missed winning the gold medal by 0.10 seconds. Williams said the 2014 Olympics are likely her last and she plans to turn her scope on how she can help Detroit become what it once was. Williams said she spent the bulk of her childhood, from age 3 to 12, in Detroit and she vividly recalls the city being vibrant. Williams attended St. Scholastica Elementary School in Detroit before moving to Pittsburgh, Pa.,with her father. She now lives in Dallas, Texas. Williams said she began her track career in Detroit running for the Cheetah’s Track Club. Members of Detroit’s Cass Tech High School track team came out to hear Williams speak and several said they were inspired by her. “We came because it was a good opportunity and humbling to see someone like her and meet her,” said 16-year-old Alexandra Hickson. Williams said her goal is to help young adults like Hickson who are talented, but need help realizing their dreams. 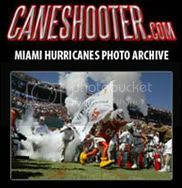 Williams received her bachelor’s degree in finance from the University of Miami, which she attended on a full athletic scholarship. She also received a master’s degree from the University of Phoenix and is currently pursuing a certificate in financial planning. Williams said she didn’t have a lot of money growing up, but through community support, she was able to push forward with her goal of being a world-class athlete. “There was always a door opening for me even though we didn’t have all the resources readily available for me, there was always someone who saw my potential,” she said. The event was hosted by State Sen. Virgil Smith, who said he plans to be a resource to help Williams to get her initiatives off the ground. “This is the first time I’ve ever met an Olympian and this is really exciting for me and I’m honored and humbled to have Lauryn back home and in Detroit,” Smith said. ROCHESTER -- Lauryn Williams' life has been a whirlwind since she became part of Olympic history last month. She has criss-crossed the country making appearances, both with and without her partner, Elana Meyers, with whom she won a silver medal in women's bobsled in Sochi, Russia. But one thing was important to the Rochester native as she traveled the nation -- she wanted to come home. Williams got her wish, as she spends the next several days in western Pennsylvania to visit family, friends and her large legion of fans. "I’m very much looking forward to coming home," Williams said. "Although I no longer live here, Rochester will always be very special to me. The people of Rochester have been absolutely wonderful throughout this whole process and I just want to thank them in person." The next days promise to be busy ones for the four-time U.S. Olympian and three-time Olympic medalist. Friday, Williams will make an 11 a.m. stop at Baden Academy Charter School and at 1 p.m., she will visit her Rochester High alma mater. From 5 to 6:30 p.m., she will host a meet-and-greet for the general public in the Rochester gymnasium. "The students and staff are very excited about Lauryn's visit," Rochester principal Mike Damon said. "I was not here when she was a student here and am looking forward to meeting her myself. "She is a wonderful example of how hard work and dedication can impact a person's life." Damon said several teachers who had Williams in class prior to her 2001 graduation will speak. Among them is Wes Hunkler, a mathematics/computer instructor who collects press clippings on Williams' career. On Saturday, Williams will participate in the Pittsburgh St. Patrick's Day Parade. The parade will begin at 10 a.m. downtown. Williams says that while she has been living out of a suitcases for the past three weeks, she is enjoying the moment. "I’m currently on a 25-day trip full of events, meetings and other fun stuff," she said. "So I’m happy and grateful that I'm able to fit in a visit to Rochester to say hello and thank you to the fans who have supported me from day one." Day one started well over a decade ago for the 30-year-old, who began to turn heads on the Junior Olympics circuit before setting Rochester High records in the 100- and 200-meter runs, 400-meter relay and long jump. She further honed her skill at the University of Miami, and, in 2004, won a silver medal in the 100 meters at the Athens Olympics. In 2012, she was a member of the United States' 4x100 relay team that won gold in London. A nagging hamstring injury forced Williams to retire her track shoes last summer, but a chance airport encounter with fellow track and field star Lolo Jones led Williams to follow Jones onto the bobsled circuit. Just a week into the sport, Williams placed third in the U.S. Push Championships and was named to the U.S. Women’s National Bobsled team. While competing on the international circuit, Williams won two silver medals and one gold medal in five World Cup events. This unprecedented rookie success resulted on a spot on Team USA in the 2014 Winter Olympics as a brakeman/pushman behind driver Meyers. "I really just started with what I knew from track because there are a lot of similarities between running and serving as a bobsled brakeman. Having a track and field background definitely helped," she said. "In bobsledding, the brakeman’s job is to run fast and generate enough power to give the driver an edge and that’s my specialty. "I was actually too light when I first started, so I had to put on some pounds," the 5-foot-3 Williams added. "In the process, I got to eat whatever I wanted, which was great." In Williams’ first heat in the Winter Olympics, she set the push start record with a time of 5.13 seconds, resulting in a track record for Meyers and her. In Williams’ second heat, she beat her original record to set a new mark with a blistering time of 5.12 seconds. She and Meyers were overtaken by Canada in the final run, finishing just 0.10 seconds from gold. Williams became one of only five individuals to win a medal in both the Summer and Winter Olympic Games, and the first American woman to do so. "Believe it or not, I haven’t had much time to sit and digest everything," she said. "When things calm down and I’m able to breathe, I’ll be able to reflect on the gravity of what just happened and how I can use that to further inspire and motivate young people." Williams said she is uncertain where she goes from here, but is keeping her options open. "If this most recent Olympic experience has taught me nothing else, it has taught me to never say never," she said. "I never thought I would get into bobsled, compete in the Winter Olympics, or win a silver medal doing it, but I did and it was an amazing experience. While I’m working on the next phase of my life, I haven’t completely ruled out another Olympics. "But right now, I definitely want kids to know that you can do anything you put your mind to, and accomplish anything you want to achieve, because hard work knows no limits." Lauryn Williams Becomes The 5th Person To Ever Receive A Summer & Winter Olympic Medal! Congrats are in order for track star-turned-bobsled champion, Lauryn Williams! She and her partner, Elana Meyers snagged the silver medal in the two-(wo)man bobsled in Sochi. Williams has become the fifth person ever to win a medal in both the Summer and Winter Olympics! Williams took home the gold as a track star on the U.S. relay team at the 2012 London Games. “Lauryn is one of the most incredible athletes ever,” fellow teammate and bronze bobsled winner, Jamie Greubel said, “and we’re so lucky she decided to stick it out and give bobsled a try.” It’s obvious Williams is one of those athletic people who can try something once and be a genius at it. We all know someone like that. Williams’ athletic prowess is super impressive. In January, Williams went to Austria for the World Cup and took home her first bobsled gold medal! Talk about a natural! Here’s a fun fact, Williams joins fellow Winter Olympics giant, Vonetta Flowers–another sprinter-turned-bobsledder who became the first Black Olympian to win a Winter Games medal. But the medals don’t matter to Williams, maybe it’s the strong feeling of pride that she values more. She tells Yahoo Sports, “It really is not about the medal for me. I don’t need something that I can hold in my hand.” Williams said her track gold medal is at her mother’s house, but she’s not sure where her silver medal is from the 100 meters at the 2004 Athens Olympics. Must be nice to be such a winner that the spoils don’t even phase you! Congrats Lauryn Williams! KRASNAYA POLYANA, Russia – She missed a gold medal by a split-second, but what she achieved can be measured only in ages. Lauryn Williams, the track star-turned-bobsledder from the University of Miami, has become only the fifth person ever to win a medal in both the Summer and Winter Olympics. Williams accomplished the feat with partner Elana Meyers in the two-man bobsled here Wednesday, winning silver after leading the first three of four heats. The 5-foot-3 30-year-old, who began running at age 9 in Detroit, won gold as part of the U.S. relay team at 2012 London Games. "I feel like I'm in the presence of Jesse Owens," said teammate Lolo Jones, who did not medal. "When I looked at Lauryn Williams come out of that sled, I was so emotionally choked up." The Americans also captured bronze, with Jamie Greubel and Aja Evans easily cruising into third position to win a place on the podium. It was the first time the U.S. has won two medals in the event. "Lauryn is one of the most incredible athletes ever," Greubel said, "and we're so lucky she decided to stick it out and give bobsled a try." Williams' silver comes only 12 years after another sprinter-turned-bobsledder, Vonetta Flowers, became the first black Olympian to win a Winter Games gold medal. American Eddie Eagan, a boxer and bobsledder, is still the only Olympian to win gold in both the Winter and Summer Games. He did it in 1920 and 1932. Williams said her track gold medal is at her mother's house, but she's not sure where her silver medal is from the 100 meters at the 2004 Athens Olympics. "It really is not about the medal for me," she said. "I don't need something that I can hold in my hand." Williams said she is not sure about her future plans, hinting she may not return to compete in 2018, but her future standing in the sport, and in the Olympic history books, is indelible. KRASNAYA POLYANA, Russia – They were 1-2-3 in the women’s bobsled World Cup points standings this season. They are the top three sleds headed into in the final two heats in what has developed into a three-team race where the question is who wins gold, silver and bronze? USA-1 pilot Elana Meyers and brakeman Lauryn Williams (Detroit), who set a track record today, are in first place with a two-heat time of 1:54.89, 0.23 seconds of a Canada-1 pilot Kaillie Humphries and Heather Moyse and 0.56 ahead of USA-2 pilot Jamie Greubel and Aja Evans. Greubel leads Belgium-1 by 0.49, putting the top three sleds in strong medal position headed into the final two heats Wednesday. USA-3 pilot Jazmine Fenlator and track star Lolo Jones are in 11th place. The top three teams offer compelling story lines, intrigue and one amazing shot at history from bobsled’s most unlikely gold medal contender. Six months later, the former west sider is two strong runs down the mountain from becoming the first woman — and second person — to win a gold medal in the Summer and Winter Olympics. The friendly, easygoing and humble Williams said Olympic history is not on her mind. Williams might just help Meyers to a gold medal, too. On their first run, they set a start record in 5.13 seconds and a track record in 57.26 seconds. It was expected Meyers and Humphries would battle for gold. Humphries won the World Cup points title, winning three of eight races, and Meyers was second in the standings, winning two races and placing second in five others. Looking ahead to the final heat, Meyers and Humphries as the last two sleds going for gold would be a fitting ending to the season. Humphries, the 2010 Vancouver Olympics gold medalist, and Meyers, who won bronze as a brakeman four years ago, worked out in Calgary together this summer — bobsled’s version of LeBron James and Kevin Durant working out together in the off-season. For a time during training in the last week, Meyers wondered whether a medal would even be possible. It was a bad week on the track. Meyers crashed her BMW-built sled on their initial training run, and Williams was late applying the brakes the following day and the pair blasted into a wall near the finish, damaging the front end of the carbon-fibered sliding machine. However, the incident didn’t crack their relationship. “The chemistry’s been building the whole time, but I think after we wrecked the sled the other day, that’s when it was solidified,” Meyers said. Williams was grateful for her driver’s patience. Turns out, the track mishaps were a bonding agent for Meyers and Williams, who raced together just once on the World Cup circuit this season. Bobsled coaches took a risk pairing Williams with Meyers instead of Evans, who finished in the top three five times in six races with Meyers. Evans said she questioned the move at first, too. But now she’s on the verge of a medal with Greubel, who overcame a torn ACL in 2011 and paid her own way in Europe to get more driving experience. Gruebel wasn’t on the World Cup team in 2011-12, but she had to sharpen her driving skills and decided to compete on the Europa Cup tour — bobsled’s minor leagues. It wasn’t easy. Out of her pocket, she rented rooms, a bobsled and a truck — stick shift, no less — driving from one European mountain to another and racing, never knowing what would come of it. “We were thinking of ways to be frugal and shipped about 70 pound of dry food — ramen noodles, packets of tuna, protein bars. 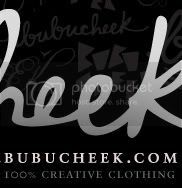 We didn’t have any money,” Greubel said. On Wednesday, she is two heats from an Olympic medal. KRASNAYA POLYANA, Russia (AP) — Lauryn Williams thought about quitting bobsledding after her very first ride four months ago. She stuck around, and another Olympic medal may be her reward. Williams' improbable story grew Saturday when she was selected to push the USA-1 sled driven by Elana Meyers at the Sochi Olympics. That decision legitimizes her chance of becoming only the second person to win gold in two sports at the summer and winter games, after she helped the U.S. win the 4x100-meter relay at the London Games two years ago. "Incredible," U.S. coach Todd Hays said after the decisions were made. "I would have bet anybody any amount of money that no person could walk on this team as a rookie and make the team, let alone actually be in USA-1. But you look at Lauryn's resume and it tells you what type of athlete she is. She's one of the greatest U.S. sprinters of all time, incredibly talented, incredibly powerful with an incredible work ethic." Lolo Jones, another track Olympian-turned-bobsledder, and the person who recruited Williams to sliding, will push the USA-3 sled driven by Jazmine Fenlator of Wayne, N.J. In USA-2, it's Jamie Greubel of Newtown, Pa. driving with brakeman Aja Evans of Chicago. Jones, of Des Moines, Iowa, and Williams, of Rochester, Penn., are becoming the ninth and 10th Americans to compete in both the summer and winter Olympics. "I came here to help this team, and wherever the coaches think is the best place for me to help is where I'm going to be," Williams said before the pairings were known. "And I'm going to push as hard as I can. ... I'm excited. I love everyone on this team and I'm going to do the best job that I can." Meyers, from Douglasville, Ga., drove to either gold or silver medals in seven of the eight World Cup races this season, finishing one point behind Kaillie Humphries of Canada in the season long standings. Meyers and Williams were paired together once, earning silver. Greubel and Evans also raced together once this season, finishing fourth. Fenlator was with Jones — who missed medals in the hurdles at Beijing in 2008 and London in 2012 — three times in World Cup races this winter, with seventh being their top finish. "We have three great brakemen. That's the best-case scenario," Meyers said. "Regardless of who's in my sled, I'm going to have a great push, so that's a very comforting feeling going in." The American women came into the season talking about sweeping the podium, something the U.S. has done only twice in any event at the Winter Olympics, claiming gold, silver and bronze in men's figure skating in 1956, then again in a men's snowboard event in 2002. It's not totally farfetched. In the World Cup standings, Greubel finished third, Fenlator was seventh, and the U.S. swept one podium — a gold for Meyers and a two-way tie between Greubel and Fenlator for silver — in a World Cup race at Park City earlier this season. "We're going to go for it," Meyers said. "I think we have the brakemen, we have the equipment and now it's just figuring out this track." The men's two-man pairings also were revealed Saturday, with Steve Langton tabbed to push the USA-1 two-man sled driven by Steven Holcomb. Holcomb and Langton won a world title together in 2012. The other two-man pairings for the U.S. include Nick Cunningham driving with Dallas Robinson, along with Cory Butner driving with brakeman Chris Fogt. None of those picks were particularly surprising. Williams being in USA-1 for the women's race, that one will surely raise eyebrows. She was going to be a financial planner a few months ago before deciding almost on a whim to go to Lake Placid, N.Y. and see what bobsledding was all about. It's now within the realm of possibility that she can join Eddie Eagan — an American who won gold as a boxer at the 1920 Summer Olympics, then as a bobsledder at the 1932 Winter Olympics — on one of the most elite Olympic lists. "You combine that everything she is together," Hays said, "and you find a girl who can make herself great at just about anything." Training Sunday, several days after the U.S. Bobsled and Skeleton Federation announced she had made the team for the 2014 Sochi Winter Olympics, Lauryn Williams was even harder at work. Greubel is the pilot and Williams the brakeman of a U.S. sled that has a shot at the podium in Sochi, when the games begin Feb. 6. Williams, fresh from a gold medal in the 4x100-meter relay at the 2012 London Summer Olympics, is responsible for giving the sled a good shove at the top of the track and helping to get it through the twists and high-banked turns, at speeds that are regularly at least 90 miles per hour, straining against significant G-forces to keep the sled on the cleanest, quickest line. Williams and Greubel scored gold Sept. 19 at the last World Cup event in Iglis, Austria, raising some expectations. “I honestly haven’t thought much about it because this isn’t about me,” she said. “I am part of a 2-person team and in order for us to win, I have to be at my best and do my best; that’s all I’ve been thinking about since the team was named. Although she lives outside of Pittsburgh, Williams spent some of her childhood in Metro Detroit. A total of 13 athletes who list their hometowns in Michigan made the 2014 U.S. Olympic Team, the United States Olympic Committee announced Monday. The announcements make official what some of the governing bodies of the sports, like the bobsled and skeleton group, already determined, rarely making changes. And there are many other althletes and others with significant connections to the state, including Williams; Red Wings goalie Jimmy Howard, who made the U.S. team; men’s figure skater Jeremy Abbott, who lives most of the year in Metro Detroit while training at the Detroit Skate Club, in Bloomfield Hills; U.S. luge coach Mark Grimmette, who was born in Muskegon and who lives in Ann Arbor; and Dan Bylsma, coach of the U.S. men’s hockey team and the Penguins of the NHL, who was born in Grand Haven. That is not to mention 10 Red Wings, who will play for the Slovakia, Russia, Canada and Mike Babcock, Steve Yzerman and Ken Holland, a trio that coaches and manages the men’s hockey team for Canada. Also, Canadians Tessa Virtue and Scott Moir, the ice dancing duo that won the gold medal four years ago in Vancouver and train at the Arctic Edge in Canton, and Patrick Chan, the three time men’s world champion, who trains at the Detroit Skating Club. For Williams, the selection capped a transition from track and field. She won the gold medal at the 2012 London Summer Olympics. “It’s hard to say that I feel fully like a bobsledder since I’ve only being doing it for six months, compared to track and field which I did for more than 20 years,” she said. Possessed of an easy sense of humor, Williams has done a lot of joking about her transition from track star to the bobsled track. Another U.S. track star, Lolo Jones, who made the transition earlier, helped get her involved. “Basically, I asked her what it was like. She said it was a lot of fun, there was good team camaraderie and she thought I would be good at it,” Williams said. As for her thoughts on executing the precise timing of the drive from the starting gate and getting in the sled in good order, Williams said, “I just tell myself, `Don’t get left behind.’ I just push the sled. Lauryn Williams and Lolo Jones were selected for the U.S. bobsled team that will compete in next month’s Sochi Olympics. They are now positioned to join a group of eight other Americans who have competed in both the Summer and Winter Games. Williams is a three-time summer Olympian who helped the U.S. win a gold medal in the 400-meter relay at the London Games. Jones is a two-time veteran of the summer games in the 100-meter hurdles, missing out on gold in Beijing after a late stumble. Jones is in her second season of bobsledding, then recruited Williams to the sport last year. They will join Aja Evans, another Winter Olympic first-timer, as the push athletes in Sochi, along with drivers Jamie Greubel, Elana Meyers and Jazmine Fenlator. Lauryn Williams left Pittsburgh a dozen years ago for the University of Miami's elite track and field program and never looked back, making her home in sunny South Florida, where she set her sights on becoming an Olympic champion. It was nothing against Western Pennsylvania. She held a special place in her heart for her hometown of Rochester, but Miami was a natural fit for a world-class sprinter. She could train outside 365 days a year -- give or take a hurricane warning or two -- without fear of even a regular old cold front blowing through. So to catch a glimpse of her Monday afternoon, bundled up in a red jacket in the lobby of a hotel in Winterberg, Germany, streaming live from her iPhone's FaceTime app, it was hard not to share an irony-laced chuckle with Ms. Williams. Another chapter has begun, and if you know the heroine of this story, no plot turn should come as a surprise. Lauryn Williams, bobsledder. What, did you think that she was just going to retire from track and field and quietly disappear, toil away at a day job, find a husband, start a family? Ms. Williams, 30, is an adventure seeker, and this latest quest, to make the U.S. Olympic bobsled team for next month's Sochi Winter Games, is rich with intrigue. Never mind the idea of her competing in sub-zero temperatures wearing nothing but a spandex suit, asking for her trademark dreadlocks to freeze over. "I've done a lot of channeling my inner childhood," Ms. Williams said, laughing. "I've been spoiled in Florida. The last race was -17 degrees. The high that day was 5. There was no indoor facility to warm up in. It was quite different." What isn't different is the deep reservoir of competitive hunger that dwells within Ms. Williams, who won a silver medal in the 2004 Athens Games in the 100-meter dash, followed by a fourth-place finish in the 2008 Beijing Games. She took the 2010 season off, did some soul searching, then returned to the track in time to qualify for the 2012 London Games as an alternate. She was one of four runners who blew away the field in the semifinals of the 100-meter relay and brought home her first gold medal, even though she didn't run in the final. After London, Ms. Williams knew that her days as a track star were numbered. An injury in the summer of 2013 forced her to retire, at peace with an illustrious career that many would not have predicted based on her 5-foot-3 frame. But Ms. Williams' legs could churn faster than most others in the world. Where would they take her now? One day, she was at the airport and ran into Olympic hurdler Lolo Jones, who made her move to the bobsled in 2012. Ms. Jones told Ms. Williams about the "brakeman" spot in the two-woman tandem. Brakemen need to be able to run fast and generate enough power to give the driver an edge. Ms. Williams figured, why not? She showed up at the U.S. National Push Championships in July in Calgary, one of 22 women with varying degrees of experience. With a bum leg and only one training session, she finished third. Soon, she'd have her first actual bobsled experience. "I compare it to a roller coaster," Ms. Williams said. "Multiply it times 10, take the seat belts out, and yeah, that's bobsled." Ms. Williams likes roller coasters (she went to Kennywood every year growing up, but admits that her favorite coasters were at Cedar Point in Sandusky, Ohio). As thrilling as each bobsled run is for her, she seems to have it under control. In her first two World Cup races in December, she and her driver finished with silver. There are three World Cup races left -- this weekend in Winterberg, next weekend in St. Moritz, Switzerland, and the next in Igls, Austria -- before the Olympic team will be announced on Jan. 19. There are six brakemen left who are competing for three spots. The selection will be made based on finishes down the stretch and overall chemistry with the drivers. In a short time, Ms. Williams has proven herself to be a legitimate contender for Sochi, and, unexpectedly, her lifelong Olympic dream has been extended -- albeit into colder territory. "I'm not surprised, because I know how I work under pressure," Ms. Williams said. "For this, someone else is depending on you. It's just like a relay. Your performance makes a difference for their performance. I think I've done really well because I know the driver is counting on me." The men's national team will be announced Sunday. Jones is on the women's national team for the second straight season established herself quickly last season on the World Cup circuit. Williams is a rookie who was largely recruited by Jones, especially after the former Miami Hurricane star announced her retirement from track not long after helping the U.S. win the 4x100-meter relay gold medal at the London Olympics. "Last year I was just soaking everything in. It was an adventure, it was fun, it was nothing really on the line for me," Jones said. "It was just kind of an escape and there were no expectations. So now coming into my second year, they expect me to be more knowledgeable and more of a leader." Williams touched a bobsled for the first time in July. A week later, she placed third in the national push championships. What wasn't even fathomable — a sprinter who's spent much of the last 15 years in Miami getting into a winter sport and qualifying for the Olympics almost on a whim — now seems more than a little bit possible. THE WOODLANDS, Texas – Olympic gold medalist Lauryn Williams will be signing autographs in the St. Luke’s The Woodlands Hospital (SLWH) Performance Medicine booth at The Woodlands Marathon Health & Fitness Expo on Friday, March 1. Williams, a current St. Luke’s Performance Medicine athlete and anchor of the 4 x 100 meter relay team that won gold and set a new world record at the 2012 Summer Olympics in London, will be signing autographs and greeting fans from 10 a.m. – 12 p.m. and 2 p.m. to 4 p.m. The Expo is being hosted in the Six Pines Parking Lot at 9696 Six Pines Drive in The Woodlands. Lauryn recently moved to The Woodlands in October with her boyfriend who is a local doctor in a private practice in Conroe. For the past three months she has been doing preventative training with St. Luke's Performance Medicine and additional training in College Station, where she also works part-time. "I want to do financial planning. 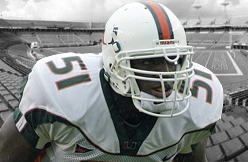 I got a degree in Finance from the University of Miami," said Williams. Lauryn is currently working to become a Certified Financial Planner while enjoying her new home here in Texas. Ranked since she was 19 years old, Lauryn is a humble and thankful individual, who cares about "...anything that will make you well-rounded." When she won Olympic Gold her first thought was of redemption, after the last two teams dropped the baton mid-race. This being her third and perhaps last Olympic competition she was just thankful she had three chances at a 'once-in-a-lifetime' opportunity. As Lauryn cites what she calls "universal intangible things" as the binding that allows us all to communicate regardless of language and culture, she should have no problem adapting to our unique Texas atmosphere. She loves that our southern hospitality is authentic and is having no trouble branching out in our community daily. Lauryn will even be attending her first Houston Rodeo this weekend when she sees Mary J. Blige in concert. She is very excited about the new experience and looks forward to getting out on the dance floor to learn some line dancing.